SONAR Behavioral Protection & Live 24x7 Threat Monitoring - Stays ahead of, detects and eliminates threats that haven?t been invented yet by watching your PC for suspicious activity. 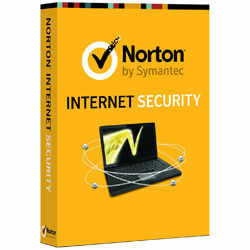 Norton Management - Cloud-based controls let you fix, update, renew and install Norton Internet Security over the Internet with a few simple clicks. It brings together your available Norton protection for other devices, like your Mac computer, smartphone or tablet, in one place. Antiphishing Technology - Blocks fraudulent ?phishing? websites set up by online scammers to steal your money, passwords and identity. Norton Safe Web - Proactively protects you while you surf the Web by warning of and blocking unsafe and fake websites right in your search results.